WOW. Beautiful. What an experience. What beautiful pictures! 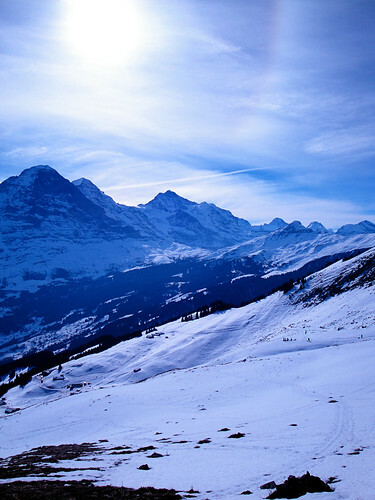 Sledding in the Alps sounds just my speed…never tried skiing! 😉 Sledding is more than fun enough. Thanks for the post! I love these pictures! I haven’t been to the Alps (though have been to Switzerland). It reminds me of Leavenworth Washington, a Bavarian themed town in the Cascade Mountains. Looks amazing! I’ve been to lucerne and I really miss the place! 5 miles of sledding? That sounds like such a blast. Gorgeous views. I went to Switzerland when I was 8, but my memory is a bit fuzzy about all of the places I saw. I wish I had been able to sled then! 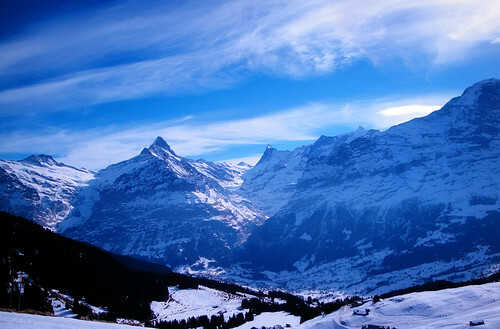 I went sking and sledding in Grindelwald back in mid 1990’s. I rode the old train. The sledding is awesome! At the time, I was vegtarian. One of the hotels that I ate at one night (name forgotten and my stuff is in storage)didn’t have naything vegetarian on the menu. But the chef was very pleasant and acommodating and prepared an excellent plate of yumminess. I spent two weeks train hopping the country. It was the best time ever and every one was so kind and helpful. That sledding route sounds amazing and looks like much fun!!! 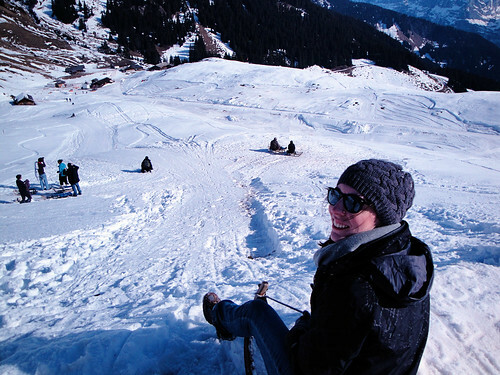 Lucky you… sledding there is Switzerland… I’m sitting in miserable rain in London…. Beautiful place Switzerland is! I spent NYE 2010 in Bern. It was fabulous. Your pics bring back great memories. Thanks for sharing. So I was just logging in on the wordpress home page and what do I see but this post featured under travel! you’re like, famous! So jealous! Studying abroad is the BEST! I was abroad last year and miss it every day. Take it all in. Great photos! Stunning pictures! Looks like a wonderful trip. Thank you so much for sharing. Congrats of FP! Wow I am completely jealous I would love to go sledding in the Alps. That looks and seems awesome! I can’t ski or snowboard, sledding is such a great alternative for having some good fun out in the snow on the mountains and on the Swiss Alps it must have made it that much more fun! 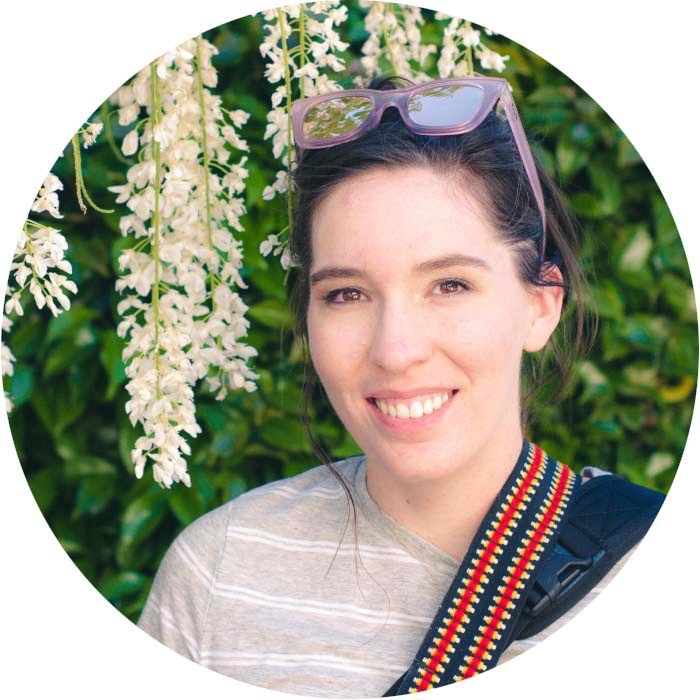 Congrats on the FP! What a great experience and awesome view. I wish I had that much courage! The first picture of the mountains themselves is very impressive! Thanks for sharing! I like your photos. Beautiful! I visited Grindelwald and Wengen in the Lauterbrunen (sp) Valley in the summer of 2008. The mountains in the summer are still snow capped and beautiful. That is the most beautiful place I have ever laid eyes on. Glad you are enjoying it. I LOVE the Swiss Alps. Used to ski there all the time. Thanks for this post and for the beautiful pictures. I really like the first pic. I used to sled as a kid and recall the long walks to and from the hill. What fabulous exercise and clean air cities had 50-years ago. As an adult I moved to the country and slid down the hill at the back of our house in winter. Thanks. Always wanted to visit the Alps in any season. 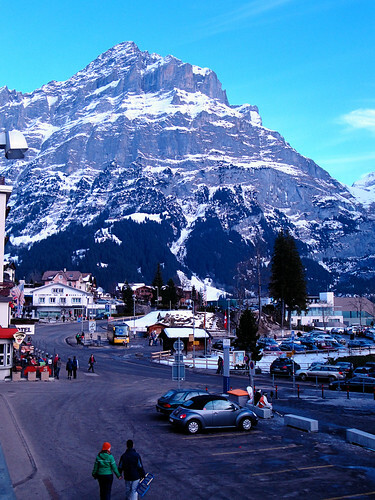 I’ve been to Grindelwald in the summer, but never in winter. 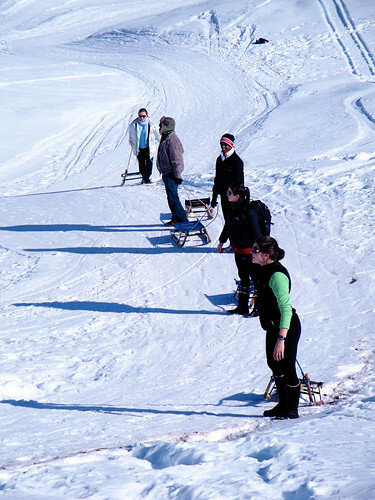 Sledding looks like so much fun, must go back and try this! Beautiful pictures! You were lucky to have such a sunny day in the alps! Was it scary sledding down so far? 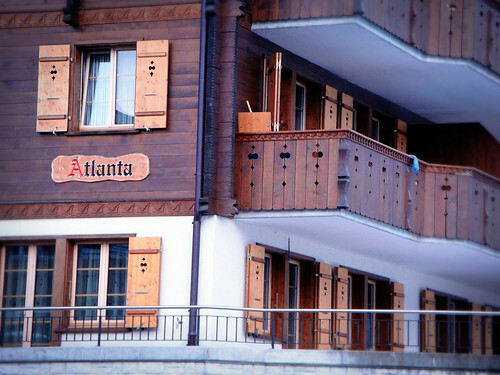 And what a surprise to discover “Atlanta” in the Alps. Now, those are the Highlands! I was just visiting Wengen a few weeks ago & made it down to Grindelwald as well – gorgeous region up there (my own pics on my blog as well)! I spent my time snowboarding but the sledding looked like a blast! Kinda bummed I didn’t find the time to give it a go, but as I currently live in a desert I felt obligated to give snowboarding every spare sec I had! Next time! I want to be back in the alps! All of the sudden, sledding on the tiny slope created by plows in our suburban driveway doesn’t seem as exciting, LOL. Considering the fact that I have been sledding, skiing and snowboarding on the Alps, I know how exciting and thrilling it is. I also wound up sweating like a pig by the end of the exercise, and actually had to wind up removing some of my layers and layers of warm clothes, but not my gloves, even though my hands were boiling. The ski instructor warned me that if I even tried to remove my gloves, he wouldn’t take me on again! PFFT. Great pictures, and congratulations on being Freshly Pressed! great stuff wish we had those over in beijing.. When we visited Grindelwald, we just ate a a little cafe. I wanted to go that place only because of its name The Harry Potter connection, you see! Pics are beautiful! Im living in Korea at the moment and was really missing the European winter and beautiful mountains. We get tonnes of snow here but it comes with sub zero temperatures that sometimes drop to -25’c brrrrr, One good thing is the winter sports, from sledding to skating to skiing, Koreans sure know how to make the most out of winter!! Did you get sunburned at all? How are the Swiss Alps? what a great experience thats awesome. Breath-taking snaps, wow!! what a wonderful trip.